BREA, CA -- A California driver has been cited for using a mannequin - not the required human being - to drive in the carpool lane. The Orange County Register reports Brea police found the mannequin Wednesday inside a truck on the congested 57 freeway. The truck veered out of the carpool lane close to an officer's motorcycle. As the officer attempted to warn the driver to be careful, he noticed the passenger wasn't a passenger. 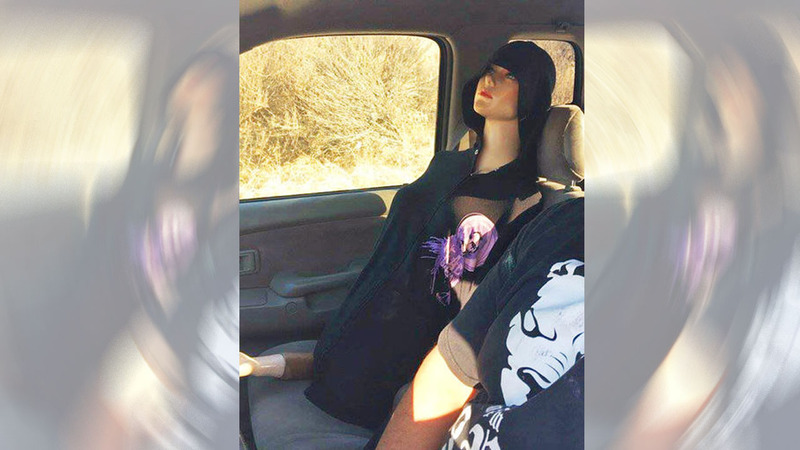 Police say the driver acknowledged using the mannequin in the carpool lane for some time. The driver told police that he would now accept that he needs to sit in traffic like everyone else. California requires that a vehicle have a minimum of two people for carpool lanes. Driving alone requires a fine of at least $481.